In a perfect world, dentures would hold perfectly in place without the need for any form of denture adhesive. The prosthodontists who specialize in providing the best possible denture solutions for their patients work hard to make sure the denture is as stable and comfortable as possible. Unfortunately, nothing in life is ever perfect or permanent and it is common for people to have a love/hate relationship with their dentures. Replacing missing teeth with dentures restores form, function, and esthetics to the mouth and allows a person to live an uncompromised lifestyle where they can eat a varied diet, talk clearly, smile confidently and be happy in the knowledge that missing teeth will not cause them to age prematurely. 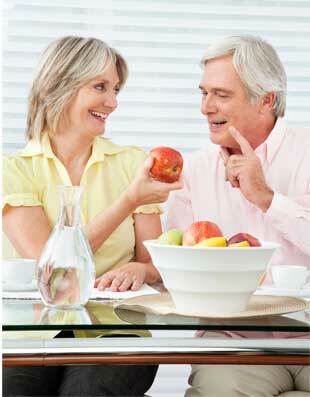 On the other hand, if the dentures are loose or unstable they can be a source of constant aggravation and discomfort. It should be noted that if denture users find that adhesives can’t effectively hold the denture in place or that they need to use more than the recommended amount to fix their denture securely, they should consult their dentist to find out why. 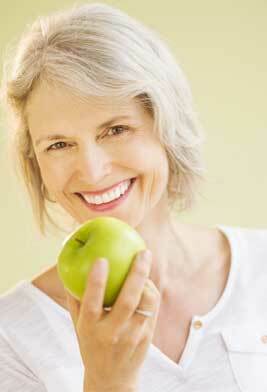 A well-fitted denture should more or less fit snugly without any help. Denture adhesives can give the retention a little helping hand to make the denture more comfortable and secure but if an excessive amount of adhesive is continually required to glue it in place, it signals that something is not quite right with the denture itself. If in any doubt, a denture user should always consult their dentist. Dentures consist of a plate (called denture base), on which artificial teeth are attached to restore the shape and function of the jaws and mouth. These could be complete dentures replacing all the missing teeth, or partial dentures replacing only a few teeth. Mobility: Most people, especially those receiving a denture for the first time, complain that the denture moves around their mouth uncontrollably. Usually, this complaint subsides within a few weeks of wearing the denture, but under special circumstances such as severe bone loss and muscle problems, this mobility will not go away. Discomfort: Having a piece of plastic in your mouth could be uncomfortable in the beginning, but as you get used to your denture, that feeling will probably go away. Pain and sores: Dentures undergo a lot of steps during manufacturing, most of these are in the laboratory, therefore errors are to be expected. These errors appear in the form of irregularities or sharp areas in the denture, causing pain and sores. Your dentist should be able to deal with these easily. Food getting stuck under the denture: which is due to the mobility of the denture, creating space between the gums and the denture, where food gets stuck, and if not cleaned properly, it can cause inflammation of the area under the denture. For these reasons and more, people who use complete dentures often feel the need to use denture adhesives. Partial dentures have other means of retention so adhesives will not be needed. From the dentist’s point of view, especially prosthodontics specialists, they would consider the poor retention as a failure of the process and will ask you to make a new denture, and would only use adhesives during the procedure of making the denture, or when there is severe bone loss, and the patient refuses other means of gaining retention, such as bone augmentation or using implants and overdentures. Are Denture Adhesives Really Necessary? Well, if you are comfortable with your denture and don’t complain of movement or soreness, then the adhesive is not necessary. But if you have problems with your new denture, and you can’t give yourself time to adjust (a few months maximum), then denture adhesives become necessary. Also, regardless of how well the denture is fitted by the prosthodontist, the fit can change in time, resulting in movement and discomfort. In an effort to ease this discomfort a denture adhesive may be necessary. Preventing denture movement by filling the small space between the denture and the gums, so no air bubbles are trapped and the seal is not compromised, enhancing the retention, in addition to preventing food getting lodged beneath the denture. Severely resorbed ridges, where the bone is really insufficient to hold the denture in place, and the patient refuses other permanent options, then adhesives will be needed and probably for a long time. Some doctors will routinely prescribe adhesives in the first week or 10 days, claiming that this will make the transition period easier and make the patient get used to the denture faster.You need to know that denture adhesives have their limits, meaning if the denture is severely mobile, adhesives will not be effective and you will need to go to your dentist either for adjustments such as relining, or even to make a new denture if the old one is worn out or highly ill-fitting. Some people who are comfortable with their dentures ignore their problems and continue living with an ill-fitting denture, and that could be very dangerous, and cause even more bone loss, and the condition may become so severe that dentures will no longer be an option. What Are Denture Adhesives And How They Work? Just to backtrack a little and cover what denture adhesives are and how they achieve the desired result of securing the denture comfortably. Denture adhesives are available in powder, cream, liquids, and liners and provide both a glue-like adherence and cushion effect between the oral mucosa (mouth tissue) and the denture plate. Most commonly used denture adhesive formulations come as either a dry powder or cream that is hydrated with the mouths natural saliva enabling them to function as a sticky lining between the denture plate and the mouth. Most well-formulated adhesives should be strong enough to glue the denture in place for a full days use while at the same time still be easily removed at the end of the day. The composition of dental adhesives can be quite complex because of the wide range of properties the substance must have to work efficiently. The adhesive should establish a quick and powerful bond with the mouth tissue as soon as it is moistened by saliva. When hydrated, the adhesive should expand to form a seal that cushions and glues the denture to the oral mucosa. The adherent bond should not be reduced when exposed to the volatile environmental variations that develop in the mouth throughout the day, eg., consuming hot and cold drinks and chewing food. The ingredients should be non-toxic and not irritate the delicate mouth tissue. The denture should remain firmly glued in place for at least 12 hours with one single application. Even though the bond between the denture and mouth needs to be strong it should still be easy to remove as needed. The denture adhesive should be easy to clean off of the denture plate. As well as providing the necessary retention, a good denture adhesive should also provide a cushion to protect the gums from stress when chewing. In addition to powders and creams, there are also denture fixative seals that do a similar job but work in a completely different way. These are a little bit like double sided sticky tape where one side sticks to the denture and the other side stick to the gums. Fixative seals are very easy to use, you can trim them with a pair of scissors so they fit the denture plate perfectly then just moisten them slightly and slip them into place. Act as an adhesive to glue the denture in place. Cushion the denture to protect the gums. Seal the denture in place so that food particles can’t get trapped in between the gums and the denture plate. A common issue and complaint that some patients report about using adhesives are the fear and concern of Zinc poisoning, as Zinc is a common component of some of the top brands of adhesives such as Fixodent and Polygrip, and there have been numerous lawsuits related to the matter. People who complain of dizziness and poor balance, tingling in the arms and legs, pain and burning of the hands and feet and generalized weakness attribute these symptoms to Zinc poisoning and are concerned that the Zinc in their adhesives is the root cause. The fact of the matter is, Zinc poisoning only occurs with abuse of Zinc, meaning an overdose; Therefore, if you follow the recommendations of the adhesive manufacturing company as well as your dentist’s advice and only use the prescribed amount of adhesive, the risk of developing Zinc poisoning becomes negligible. In addition, the amount of Zinc in these adhesives are minimum, and poisoning could only occur with heavy use, and if you’re still concerned, many of the brands available now on the market are free of Zinc, and you could talk about your concern with your dentist and he\she could prescribe a different brand. Now let’s get some in-depth knowledge of some of the most popular brands on the market nowadays. Adhesives can be in the form of creams, powders or strips. Let’s start first with creams. Creams work essentially in the same manner as hair gels. A small amount is applied to the undersurface of the denture, and the denture is placed in the mouth and held in place for some time until it sets, in order for them to provide a glue-like effect between the denture and the tissues. Most people complain of the pasty feeling in their mouth when using creams, and some brands are really hard when they set causing irritation to the gums. Secure denture adhesives are made by a US-based company named Bioforce USA who specialize in supplying natural health products including denture adhesives, denture cleaning tabs, and denture cushion strips. Secure denture adhesives work as any cream, except they don’t rely on zinc to create the bond between the denture and the gums. Instead, they use cellulose (which is a natural product derived from plants) and PVA (which is a material present in chewing gum) to make the holding firm. They also claim that the adhesive is not water soluble, meaning it will not dissolve away in the saliva during use or leak into saliva to be ingested into the stomach. Secure denture cream is much cheaper than Olivafix which does make is a more economical option. A mixed opinion exists, where some people report excellent results in holding their dentures, while others claim the exact opposite, and say it’s no better than its competitors. People are happy with the natural ingredients and safety, but complain it is very hard to remove the excess from the denture, and claim it becomes really hard on setting and can cause ulcers on removal from the mouth. Most people are also happy with the price compared to competitors. So in essence, the natural ingredients are welcomed and the price is acceptable, but the hold is debatable, and ultimately related to patient acceptance. A part of the P&G family, which is a very large cosmetics and healthcare products company based in the UK. Fixodent plus is available in many forms, such as Fixodent plus dual power, dual protection, gum care, food seal and Fixodent plus 0%. They are all initially the same except for the 0% brand which they claim is all natural with no additives, flavors or colors, and certainly zinc free. The grip of Fixodent plus is superior according to most users, and they are also very happy with the gum care product, claiming it is very easy on the gums and has a soothing effect. The texture is also pleasant, being not very runny and not very thick. The main concerns regarding using Fixodent is the Zinc content, and the fear of poisoning, which can be easily avoided by either using the 0% product or simply using a small amount as recommended by the dentist and the manufacturer. The price is also an issue, being nearly twice as expensive as its counterparts. In essence, a great product for use and provides great denture grip, but the fear of Zinc, as well as the high price, is a definite issue, so if you’re willing to pay some more and use the product with care, Fixodent plus is definitely the choice for you. As for powders, they work in a different matter. They are usually provided in a form of spray, where you should clean and dry the denture, and then spray a very thin layer of the powder on the undersurface. The denture should then be shaken off to remove excess powder, and the denture is inserted in the mouth and you should bite down until hardening. Powders, of course, have the advantage of not being too hard when they set as creams, but some people don’t like the feeling of powder or “dirt” in their mouth. Olivafix is made by a Swiss company known as bonyf AG who specializes in developing, manufacturing and marketing dental health products, particularly denture care products like adhesives, cleaning tablets, and denture cleaning brushes. Olivafix is based on a unique and innovative formula that uses a high concentration of natural olive oil instead of the commonly used ingredients like zinc and Vaseline. It works in the same manner as any cream, but with a more natural formulation of ingredients that are based on a 35% concentration of Olea Europaea (Olive Fruit) Oil, this makes the feeling of the cream less pasty and silkier in the mouth. Olive oil also has anti-bacterial properties that make it the ideal ingredient for a denture adhesive. Nearly everybody agrees to Oliva Fix’s ability to hold the denture in place, as they claim, it is certainly stronger than its rivals. Olivafix is generally more expensive than other denture creams, but it is certainly a healthy and effective option. This product doesn’t contain any artificial flavorings so for people who don’t like the taste of olive oil, this may not be the adhesive for them. So in essence, the main function of the cream (which is preventing the denture from moving) is superior, if you can tolerate the taste and smell of olive oil. Ingredients: Cellulose Gum, Olea Europaea (Olive fruit) Oil, Calcium/Sodium PVM/MA Copolymer, Hydrogenated Soybean Oil, Trihydroxystearin, Silica Menthol, Lecithin, Citrus Limon Peel Oil, Menthyl Lactate. The last form of denture adhesives is adhesive strips. These are probably the easiest to use, where after cleaning the denture, one strip is peeled open and moistened in water, and placed on the undersurface of the denture. The denture is then pressed in place and the patient bites down until the denture is fixed in place. A product of Polident, a sister company of GlaxoSmithKline. The manufacturer claims that these strips are all you need for a secure denture in your mouth, and depend on the ease of use of strips, and lack of pasty or dirt feeling of creams and powders. This product also contains no Zinc, compared to Polygrip powder which does, again addressing the concern of Zinc poisoning. A preference among partial denture wearers. Users are impressed by the hold that these strips provide, and are very comfortable with the easy use, and the fact that they don’t contain Zinc is a definite bonus. Peg-9om, Microcrystalline Wax, Polybutene, Cellulose Gum. A product provided by Combe, a multinational pharmaceutical company based in New York, USA. This differs from other strips in packaging, where each box contains 15 strips to use either with the upper or lower arch, meaning you would only use one large strip for the upper and one for the lower, cut to the shape of the denture undersurface. They are not commonly used with partial dentures and they specifically say that it should not be used when the denture is ill-fitting or loose. These strips are also Zinc free. Seabond Lower arch denture adhesive wafers. Just place the dry Seabond seal onto the denture and trim any excess overlap with a pair of scissors. Once you have trimmed one seal to the perfect size, use this as a template to trim the rest. Place the seal pink side down on the denture and moisten slightly. Place denture in the mouth and bite down for 5 seconds. Seabond Upper arch denture adhesive wafers. Place the seal onto the dry denture and trim edges so the seal is a perfect size. Use this as the size template for the rest of the seals. Place the seal onto the denture pink side down and moisten slightly. Place denture in the mouth and bite down for 5 seconds. Most people are happy with the grip that sea-bonds strips provide, although most that used other forms of adhesives such as creams and powders say that strips are definitely a weaker holder of the denture and if they use their denture heavily, they would need to change the strip throughout the day. In addition, having to cut and trim the very large strip is a bother for most people and a big waste of time. In essence, if you are not a very heavy chewer, and don’t prefer the pasty or dirt feeling, then sea-bonds strips are the choice for you over other popular brands of denture adhesive strips. The same style as Sea-Bonds strips, where there are upper denture strips and lower denture strips, that again need to be cut to the size of your denture. This product again avoids the pasty and dirty feeling by relying on peelable strips instead of cream or powder. The package contains 15 strips for either upper or lower dentures. EZO Lower arch denture cushions. Rinse the cushion under warm water tap for a few seconds. 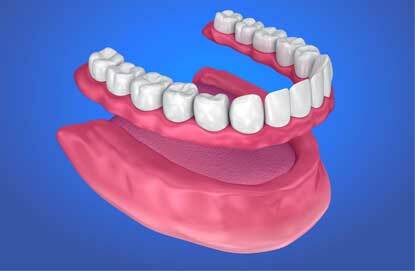 Press the cushion onto the denture and trim the excess with a pair of scissors if necessary. Place denture in the mouth and bite down for 2 minutes. EZO Upper arch denture adhesive cushions. A really popular brand, specifically on Amazon, receiving great reviews from a lot of people. People appreciate the ease of use, and absence of paste and powder, as well as the low price. They also are impressed with the comfort of these “cushions” and describe them as being really gentle on the gums. Of course, some people are unhappy with the grip compared to creams or powders, but there is general satisfaction and happiness with the product. In essence, a fairly cheap product that does what it says on the box .. grip. Corn Oil, Food Color, Paraffin Wax, Pure Cotton Flannel. Also supplied by P&G, the same company that provides Fixodent plus cream. They based their entire product on pointing out the differences between powders and creams, though the effect is the same as they claim. So they essentially leave the selection of which texture you prefer (either cream or powder) to you and give the assurance that the effect is the same. It is also cheaper than the cream. Available from Amazon. People are impressed with the holding power of the Fixodent powder, and some also use it together with the cream for best results. They are also happy with the ease of use and comparably cheaper price than creams. The greatest concern is, of course, the Zinc content, and unlike the cream, there is no 0% formula, in addition to the dirt feeling and extra minty flavor that are not to everybody’s liking. In essence, a superior product at a competitive price, but still concerning due to the presence of Zinc, although easier to use than creams. Fixodent Denture Adhesive Powder Ingredients. Supplied by the giant GlaxoSmithKline, but there are talks of discontinuing this particular product, again due to the fact it contains Zinc and the rising concerns of Zinc poisoning. That is why you may find a bit of a shortage of this particular product on the market. The company claims it provides a strong 24-hour grip and removes easily when the user needs to remove the denture, combined with an easy to use spray system. People have mixed opinions on this product, where most people claim that provides a very strong grip, while another sum is very unhappy with the results, and at such a high price compared to other powders, this raises a little concern, in addition to sometimes being unavailable for purchase. Zinc content is also a concern for most people. This product is quite popular with partial denture wearers compared to complete denture wearers, although partial dentures usually don’t require adhesives. In essence, this particular product carries no advantages over its competitors, being more expensive, Zinc containing and not particularly effective in gripping according to consumers, in addition to not being available all the time. Dr. Mohamed Abdel Hamid is a practicing dentist, the founder and owner of Confidental clinic in Cairo, Egypt. He graduated from the faculty of dentistry, Ain Shams University, the highest rated dental school in Egypt, obtaining his Bachelor of Dental Surgery (BDS) in 2010 and has been practicing ever since. He acquired a postgraduate diploma of Oral Surgery in 2013 from the same university.